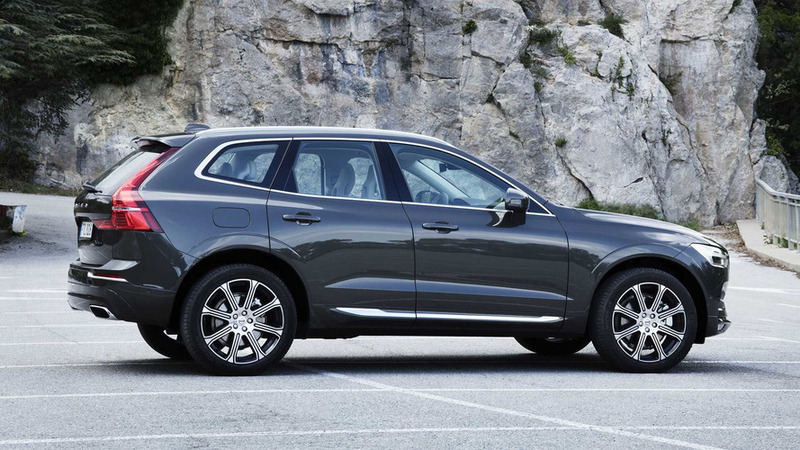 The XC90 gets a sporty baby brother. 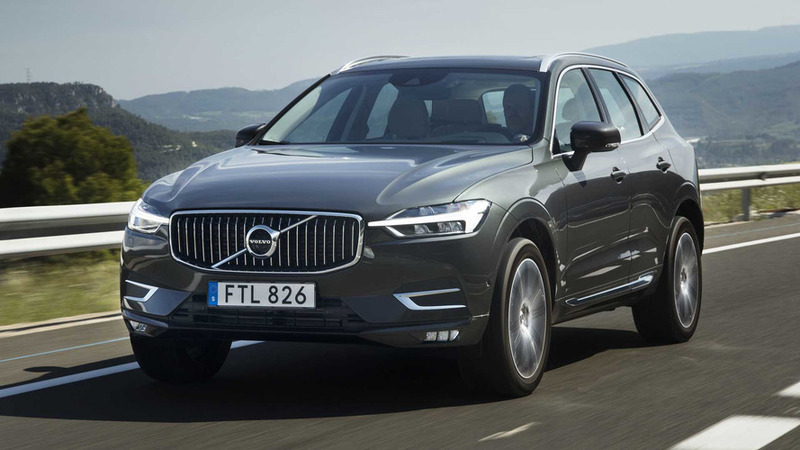 Our colleagues at Motor1-UK got the first crack at Volvo's new XC60 SUV, and thus, this review focuses mainly on the diesel variant that we won't get in the United States. Look for a proper U.S.-spec XC60 First Drive on these pages in the coming months. 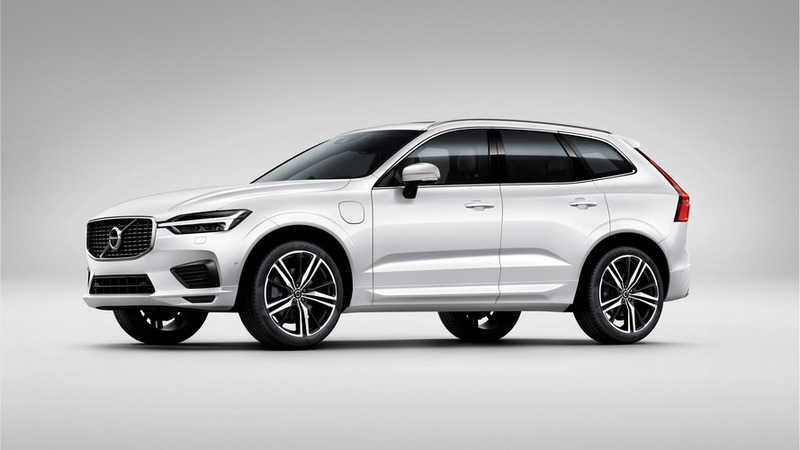 It hardly seems like nine years since Volvo launched the XC60, but in that time the compact SUV has become Volvo's best-selling car, full stop. It brought a much more elegant look to Volvo's hitherto square-cut, straight-laced design language. Heart had replaced head. 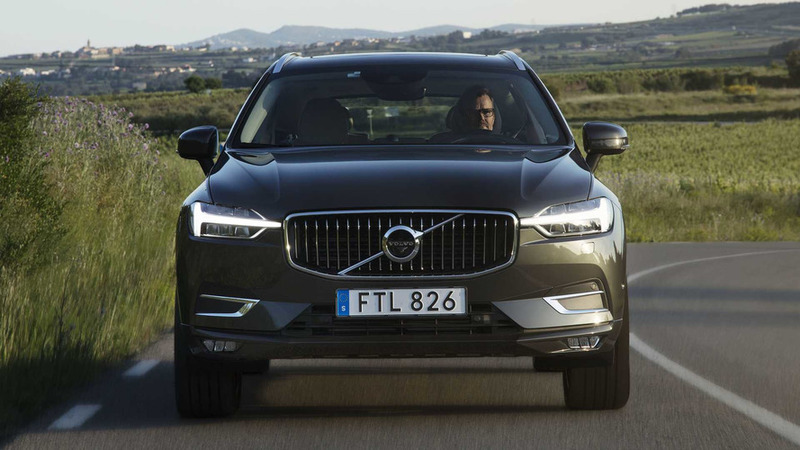 Now there's a new one, its look clearly influenced by what went before but reinterpreted with the bluff, vertical nose already seen on the larger XC90 and which unambiguously declares what people think of as Volvoness. 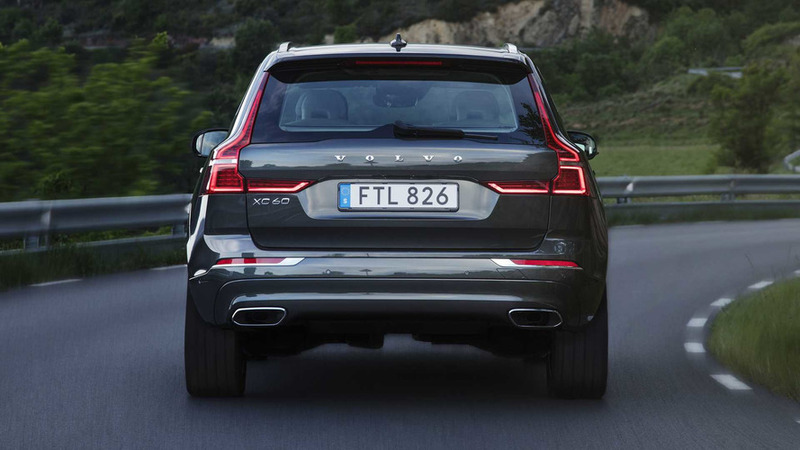 Also shared with the XC90, and new Volvos yet to come, is the underskin Scalable Product Architecture, or SPA, which provides standardized building blocks in various sizes to suit different classes of car. 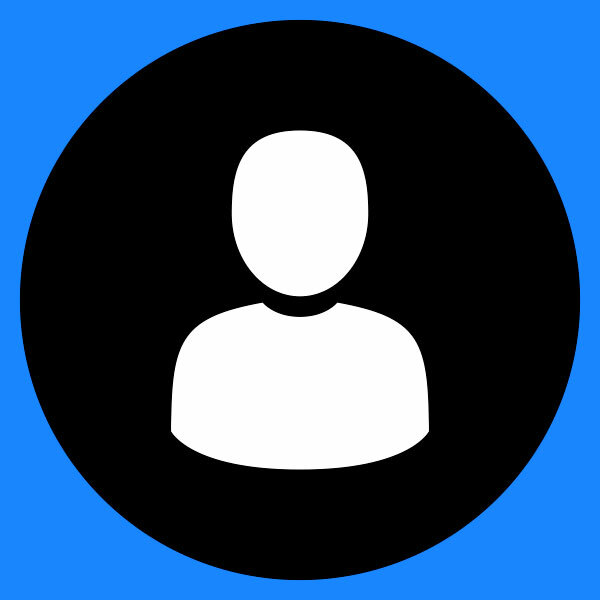 It's a little longer, wider, and heavier than the outgoing model but slightly lower. The shape manages to meld solid substance to a flowing style, its waistline rising rearward like the old car's, a crisp shoulder lining running through the rear quarters. Design vice president Thomas Ingenlath, who arrived at Volvo from the Volkswagen Group, wanted a clean, crisp look, and he has achieved exactly that with some dramatic detailing in the lights to lend a futuristic air. Inside, the aura is cozier and more cocoon-like around the driver than in the airier XC90, and the front-seat occupants have a lower, more car-like (as opposed to SUV-like) driving position. This nevertheless still gives a fine view forward thanks to the XC60's high stance on its large wheels. The instrument panel of the top two of three trim levels, sporty R-Design and high-luxury Inscription, contains that modern must-have, a TFT screen with "virtual" instruments, while the large Sensus infotainment screen in the center stack is unusually intuitive and easy to use with functions just a swipe or a touch away. 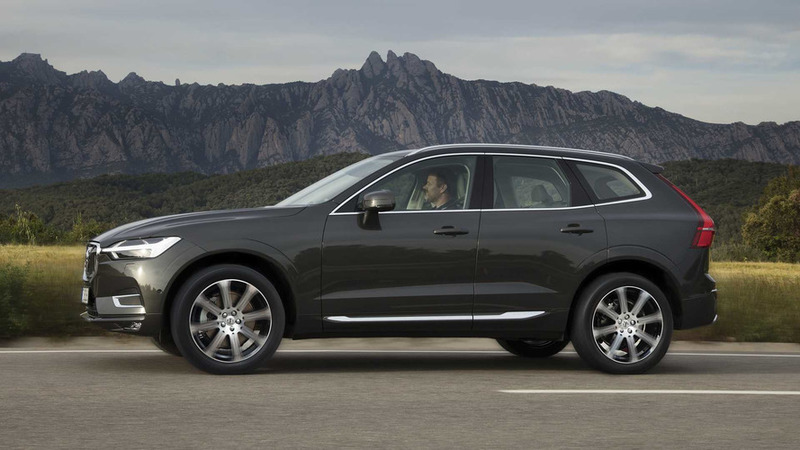 Inside, the aura is cozier and more cocoon-like around the driver than in the airier XC90, and the front-seat occupants have a lower, more car-like driving position. The vertically oriented air vents have neat satin-metal detailing on their central blades, and in the top Inscription model rough-surfaced light wood – dubbed Driftwood – embellishes the fascia’s lower curves. Leather and soft plastics are the main trim materials, but while the door trims are fully padded the bulbous glovebox lid, surprisingly, is hard to the touch. It's the gateway to a cavernous storage space, though, and the cabin gives an overall impression of relaxed, informal quality. Rear passengers get plenty of space, and their seats can be folded flat via a switch in the cargo area. They land with a mighty thump, thanks to their weightiness. The load bay isn't truly flat, though, with the cargo floor heading noticeably uphill from the load lip forwards. 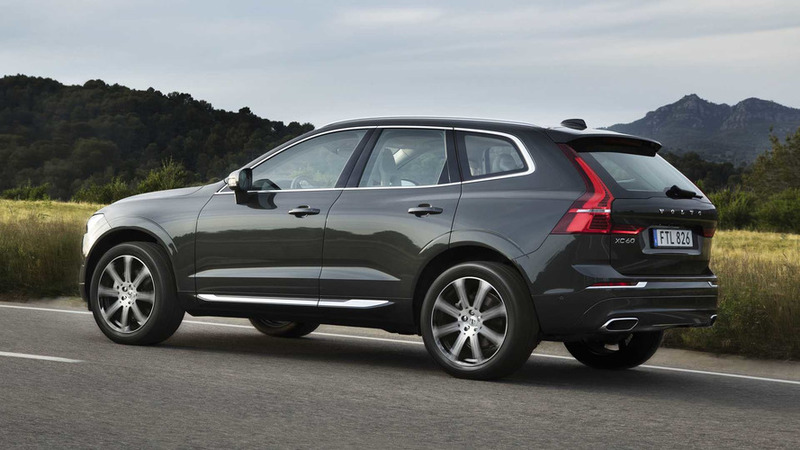 All XC60s have a powered liftgate which can be opened or closed by moving your foot under the bumper. 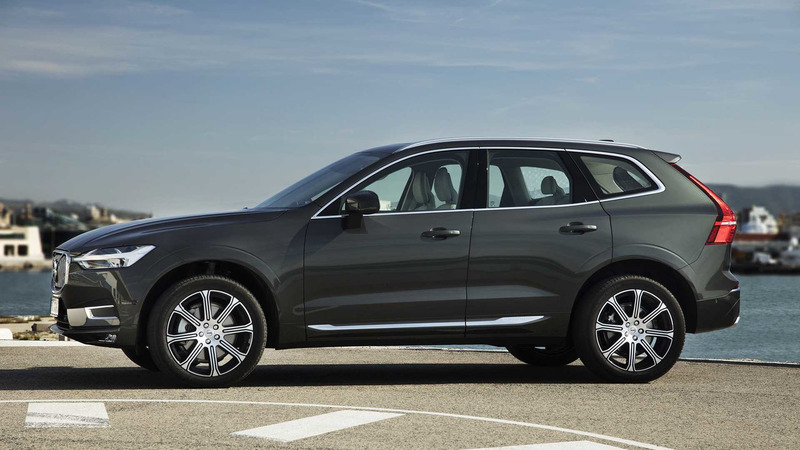 In effect the XC60 is a smaller, more dynamic-looking XC90 without the seven-seat option, but with more or less the same four-cylinder, 2.0-liter engine range of diesels, petrols, and a potent gasoline-electric plug-in hybrid that boasts an impressive combined total of 407 horsepower. All have eight-speed automatic transmissions and all-wheel drive, plus a fine tally of active safety systems which, taken together, come close to offering autonomous driving. Volvo's engine designations no longer point to the number of cylinders, but merely denote a power hierarchy and whether it's gasoline (T) or diesel (D). Depending on market, the XC60 gets a 190-hp D4, a 235-hp biturbo D5, a 254-hp T5, 320-hp T6, and that hybrid T8, for which an electric-only range of about 28 miles is claimed. The T8 is a few months away from launch, so we sampled the not-for-U.S. D5 and the definitely-for-U.S. T6. 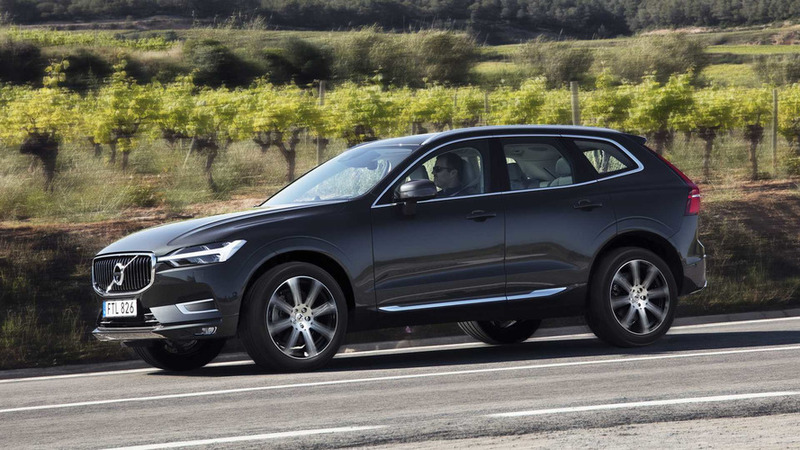 The T6 gives a fair idea of what we can expect from the T5 and T8, its ample thrust an unexpected result from the combination of the XC60's weight and its four-cylinder petrol soundtrack. It's a smooth engine, but our hunch is that its lesser T5 sibling won't feel as rapid as 254 hp suggests it should. The XC60 is a pleasing mode of transport, it's very well equipped even in 'base' Momentum guise and that multimedia interface is perhaps the best on the market. The D5 is a more pleasing drive than the T6 in many ways, its lower-revving engine happy to stay in its domain of relaxed pulling power, the eight-speed transmission performing fewer shifts unless you're seeking the last ounce of pace. There are no manual paddle-shifters, even though Volvo is keen to emphasise the dynamism of the XC60 relative to the XC90. In truth, the XC60 is more relaxed cruiser than driving machine. The steering, though quick to respond, feels disconnected around the center, more so in the T6 than in the D5, which can make it slightly difficult to place accurately at first despite the precision promised by the double-wishbone front suspension. Altering the response settings – Eco, Normal, or Dynamic – or creating your own combinations of accelerator, gearshift, damping, steering and even braking responses can make the XC60 feel a touch more in tune with the driver, but the differences between the modes are not great. It grips well, though, and feels unerringly stable. It's also impressively quiet at speed. Ride quality is a great improvement over the old model's sometimes choppy progress. Our test cars had the optional Dynamic Pack air suspension so we can't yet comment on the standard arrangement, but they proved supple over bumps and nicely damped in the curves. Volvo, ever safety-aware, has equipped the XC60 with systems able to guide you between lanes by nudging the steering accordingly at up to 80 miles per hour (it's actually quite irritating); to both brake for and automatically avoid obstacles in the road, including a vehicle likely to collide with you head-on; to hold automatically a pre-set speed and distance; and to warn you of traffic in your blind spot and take automatic avoiding action if you attempt to pull into its path. You can turn off the lane-keeping and blind-spot functions, but the automatic braking and avoidance are always there in the background. The last XC60 was a great success and this one is better in every way. You wouldn't buy it specifically for the pleasure of driving it, when a BMW X3, Jaguar F-Pace, Land Rover Discovery Sport, Porsche Macan are so much more satisfying to steer. But the XC60 is a pleasing mode of transport, it's very well equipped even in "base" Momentum guise (starting at $42,495 in the U.S.), and that multimedia interface is perhaps the best on the market. It looks good, too, and feels a quality object. Unless you're a real car enthusiast, the XC60 is an excellent buy.